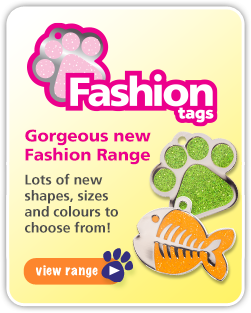 Is it time to get a new personalised pet tag for your cat or dog? 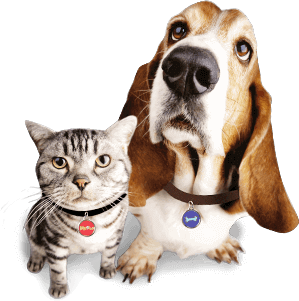 You should replace your dog’s or cat’s pet tag when…. You get a new phone number – If you change your phone number, you’ll need to get a new pet tag for your cats and dogs. It’s best to list your cell phone number, so you can be contacted anywhere and everywhere. You move to a new home – It’s important for your pet’s tag to have a current address. 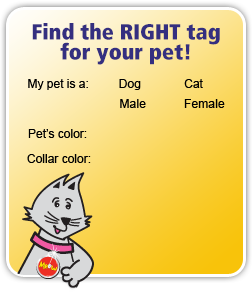 You take your pet on vacation – Make up a new pet tag with your travel information. Your pet’s tag becomes faded or difficult to read – Pet tags don’t last forever, especially when you have multiple tags on the collar, as they tend to rub together. Check your pet’s tag periodically to ensure it’s still easy to read the information. Your pet develops diabetes or another serious condition – If your pet requires daily medication to survive, you must make up a medical alert tag of sorts. Many pet owners will also place a few days’ worth of pills in a small, waterproof vial which can be affixed to the pet’s collar. A new collar can also serve as grounds for a new pet tag, as you want your dog or cat to coordinate! With these tips, you’ll maximise your chances of bringing your dog or cat home of they ever get lost!